The map allows users to view UFO sighting reports based on location and by date. It then displays UFO symbols on a map of that area, which users can click to view each report. In the UK, there have been seven reports this month, ranging from Kirkwall to Horsham. The majority of reports come from the US, where 27 UFO sightings have been reported this month. 83,715 sightings have been reported this year alone – 12% higher than the number of sighting in 2016. Sightings of UFOs appear to be on the rise, and now an interactive map can reveal whether ‘aliens’ have been seen in your area. 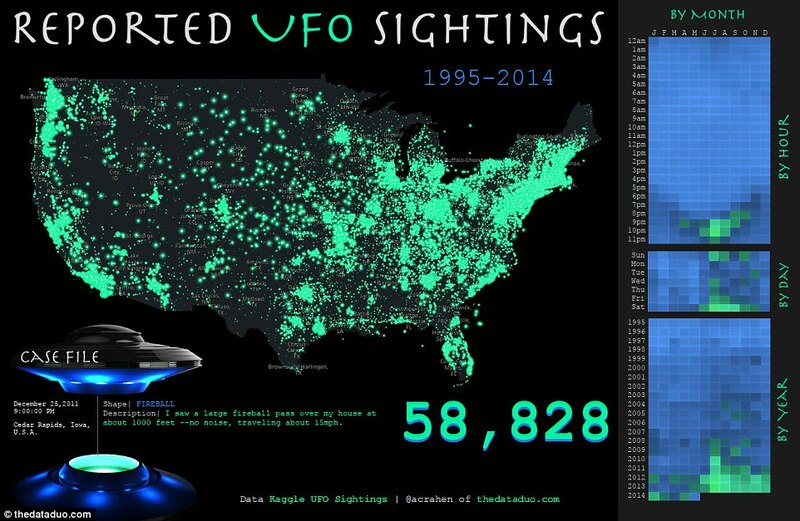 The map, created by UFO Stalker based on the MUFON Case Management System, reveals that a total of 83,715 sightings have been reported this year alone – 12 per cent higher than the number of sighting in 2016. The map allows users to view UFO sighting reports based on location and by date. It then displays UFO symbols on a map of that area, which users can click to view each report. 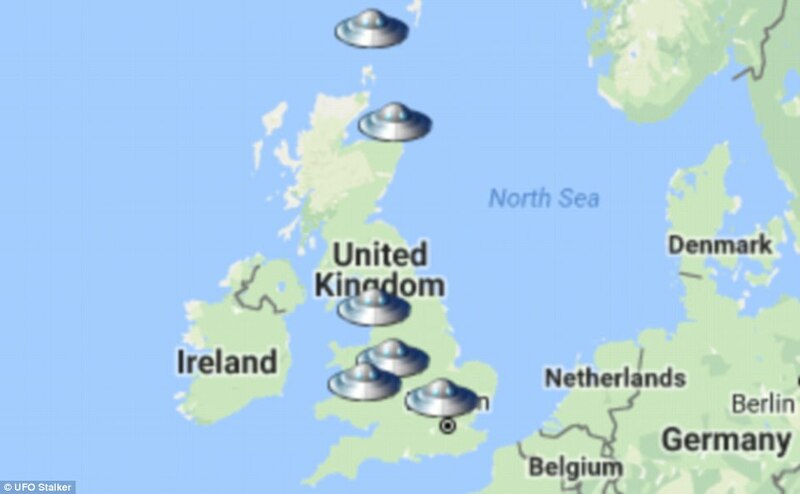 The map reveals that in the UK alone, there have been seven reported UFO sightings in November. On 15 November, one user reported seeing a UFO over Aberdeen. The report states: ‘Standing at my kitchen window I noticed a very bright red and white light flashing every two seconds. ‘I instantly knew this was not a passenger plane or helicopter. Meanwhile in Thornaby, another person spotted a mysterious object on November 8. Over the course of three online-based studies, researchers at the University of Kent showed strong links between the belief in conspiracy theories and these psychological traits. The results showed that those people who rated highly on the narcissism scale and who had low self-esteem were more likely to be conspiracy believers. However, while low self-esteem, narcissism and belief in conspiracies are strongly linked, it is not clear that one – or a combination – causes the other. But it hints at an interesting new angle to the world of conspiracy and those who reinforce belief. The report states: ‘I went out into my front garden for a cigarette with my husband and looked up at the clouds. ‘Above the houses across the street i noticed a very bright, white, intermittent trail and when following the trail to the right noticed a small white glowing spot (orb?) moving in front of the clouds. 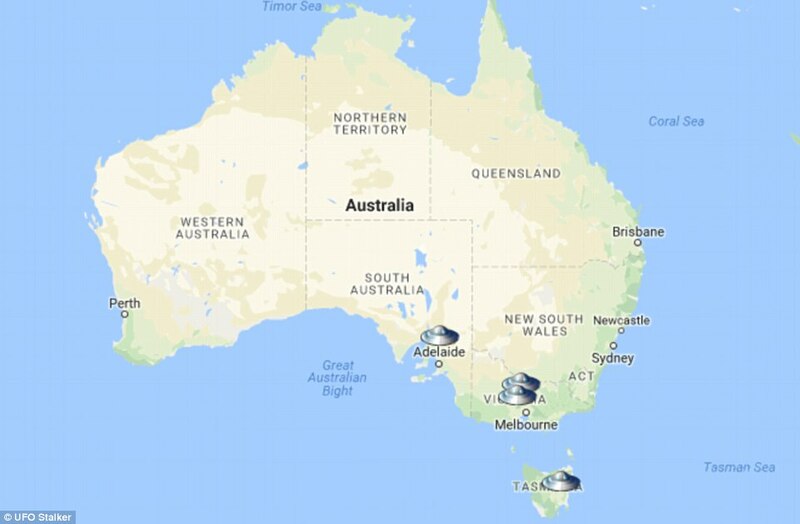 UFO sightings were less frequent in Australia, where there were only four reports this month. But the majority of UFO sightings were in the US, where 26 reports have been filed in November. On 20 November, a report filed in Albuquerque stated: ‘I was driving around in the Nob Hill area of Albuquerque. I turned down a side street and saw a triangle shaped craft with lights that went up the side of it. ‘It was illuminated so it formed a V-shape. I stopped to pull over and look at it because I thought it was strange. Witnessed it for about 10 seconds before it was hidden behind a tree. ‘The airforce base is close by so I assumed it was a military aircraft but haven’t seen one like it before. 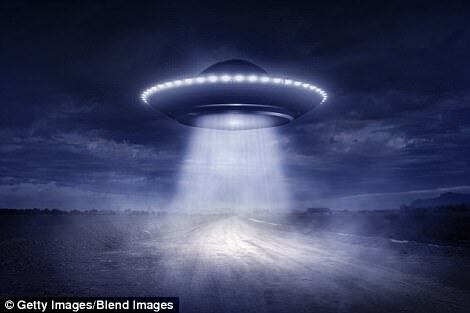 Nigel Watson, author of the UFO Investigations Manual, told MailOnline: ‘UFO Stalker is a brilliant visual guide to the location of UFO sightings, and shows the sheer scaleof this phenomena over the last few years. ‘The downside of such a map is the quality of the sightings in its data base, these should be carefully filtered if anyone really wants to establish geomagnetic or other links with UFO activity. ‘Clusters of sightings might for example be caused by increased media activity in an area, or a bright meteor or other mundane phenomena could also trigger a wave of UFO sightings. The UFO Sighting map follows another map released last week that showed how reports have steadily grown in the US over the last two decades, hitting a mid-summer peak each year. The map of reported UFO sightings in the US was created by Data Solutions Engineer Adam Crahen of the Data Duo, using data from Kaggle UFO sightings. There’s little doubt that the internet has played a role in the growth of UFO reports in recent years, though most can be explained by natural or human-caused phenomena. The image of UFOs in America is often associated with sparsely populated rural settings; a mysterious object hovering over a field of crops, or crashing in a remote expanse of desert land, likely fueled by the famous 1947 Roswell crash in New Mexico. But, the map shows these reports are actually concentrated in major cities and dense population hubs, making places such as New York and the surrounding metropolitan area hotspots for UFO sightings, along with southern and central California. The Great Lakes region also had a high concentration of UFO sightings. In one report from Ohio, a worker even claimed he could not account for half an hour of his night after a bizarre encounter. Last year, the CIA released a glimpse into its own set of ‘X-Files,’ a small compilation of documents pulled from its expansive UFO collection, dating back to the 1940s. The agency said that these documents appeal to both skeptics and believers – the Scullys and Mulders of the world – who seek to prove scientific explanations, or confirm the existence of extraterrestrial activity. One of the documents among the CIA’s ‘X-Files’ is from East Germany in 1952, where agents were called to investigate what witnesses described as a ‘huge flying pan’. The object was said to have a diameter of about 15 meters, according to the document. Similar flying saucers were also spotted in North Africa and Spain, the report said. ‘The picture [of the object] shows a diagonal stripe of diminishing width and lighter in shade than the sky over the dark bulk of a building cornice,’ it was noted. Included with some of the documents were three pictures of the alleged extraterrestrials. 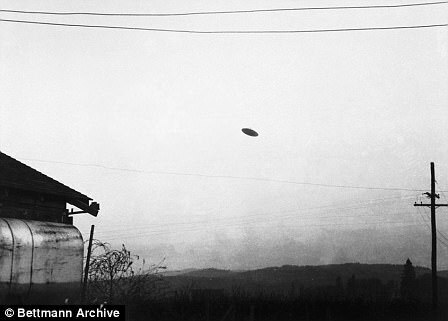 One of the photos – taken by British student Alex Birch in 1962 – claimed to show a group of flying saucers flying over the city of Sheffield in the UK. Also contained in the files is the case in Socorro, New Mexico in 1964, when police officer Lonnie Zamora spotted a large flame rise from the ground and pierce the sky above a remote patch of desert. Upon investigation, he found a shiny object the size of a sedan perched on the hilltop, which was oval in shape and aluminium in color. The object then began to rise into the air and then sped away from him over the mountains and disappeared. An explanation for this case has never been determined. The map also organizes the sightings by month, year, and day, showing when the reports were most frequent. Most sightings appear to occur in the summer months, with night-time in July being the most popular. But, these unusual reports have occurred all over the country, and at all different times of the year. ‘I saw a large fireball pass over my house at about 1000 feet – no noise, traveling about 15 mph,’ one person, from Cedar Rapids, Iowa, claimed on December 25. Another, from Tillamook Oregon, said they saw ‘One mother ship with four smaller destinct [sic] satellite objects moving randomly,’ on January 18, 2009. There are countless practical explanations for strange lights appearing in the sky or even in photos captured in space. Weather is often to blame, or phenomena such as meteor showers and aircraft tests. And, often, it’s just a trick of the light.